U2 with singer Bono, seen on the TV screen, perform during their 360 degree Tour at the Olympic Stadium in Berlin, Germany. The former stage centerpiece of rock band U2’s international tour, a 165-foot tall spider-like structure, has found a new home as the backdrop for an aquarium expansion in suburban Salt Lake City. The Living Planet Science Learning Campus expansion in Draper, Utah. The former stage centerpiece of rock band U2’s international tour, a 165-foot tall spider-like structure, has found a new home as the backdrop for an aquarium expansion in suburban Salt Lake City. SALT LAKE CITY – It toured the world for two years with rock behemoths U2, towering above the band through 30 countries and before a combined audience of 7.2 million people. 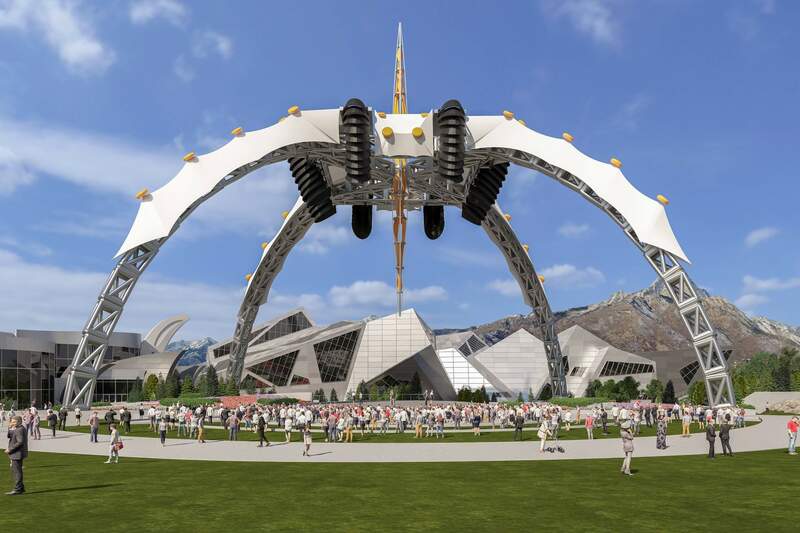 The futuristic-looking, four-legged structure is 165 feet (50 meters) tall and weighs 190 tons. It will be the centerpiece of a planned expansion dubbed the Science Learning Campus. 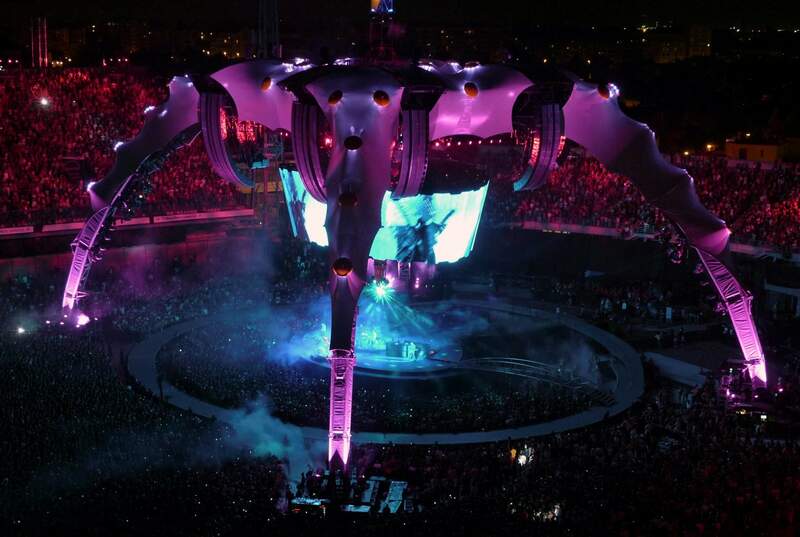 The stage is seen from a tribune during the show of the Irish pop band U2 on their Tour 360 in Zagreb, Croatia. 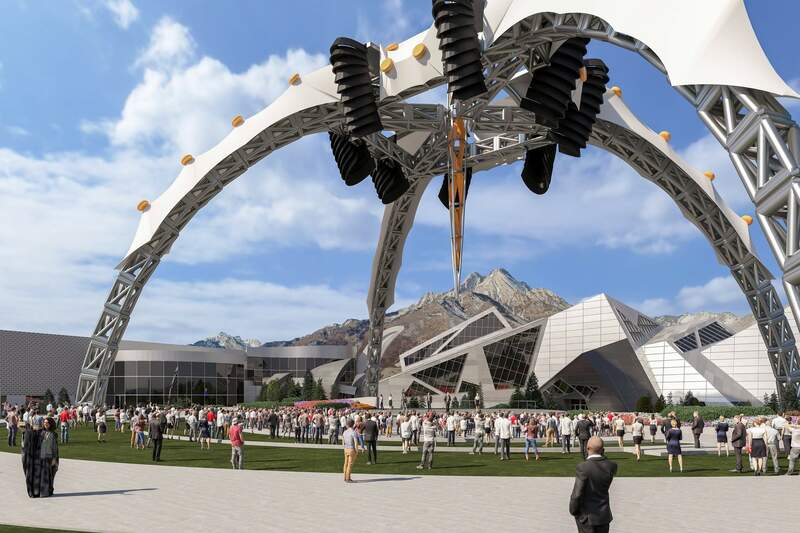 The former stage centerpiece of rock band U2’s international tour, a 165-foot tall spider-like structure, has found a new home as the backdrop for an aquarium expansion in suburban Salt Lake City. 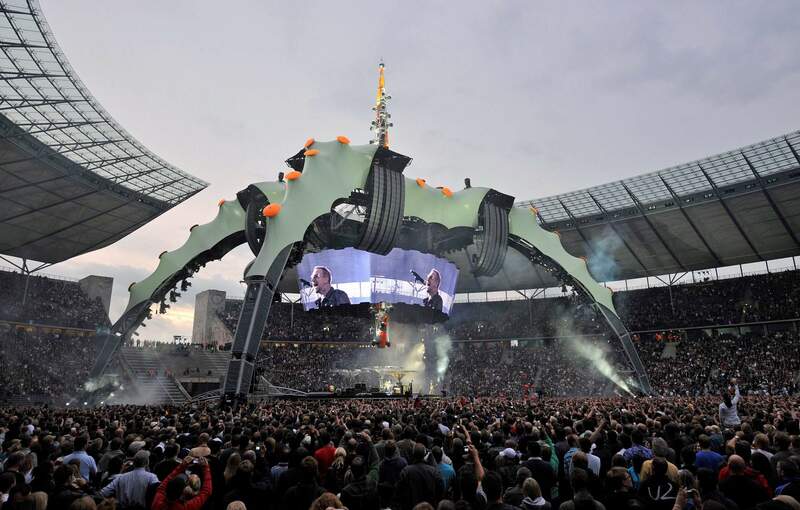 Andersen saw the structure twice during U2’s worldwide 2009-2011 “360” tour, once in Barcelona, Spain, and once in Salt Lake City.